chapter-two-page-two – Seasick – The Underwater Adventure Comic. Updates Fridays! Sorry I’m late update! Had the page ready to go, lost track of time playing Overwatch…Anyway! Sorry about the wait. Full disclosure, I had a week of feeling ill and then stress from a letter about my permission to remain in England. Long story short, I had to provide loads of documents that just aren’t available very often anymore. Somehow me and Jesse managed to procure enough evidence to satisfy them and I now got my residence permit! Don’t have to worry about it for the next couple years or so. 😀 So that’s great news for us, and great news for Seasick. 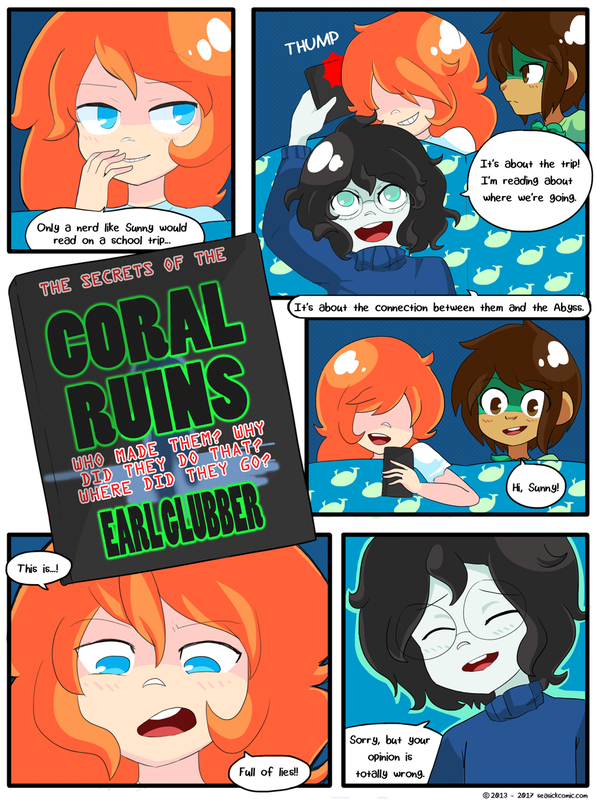 At least we now know where they’re going, the Coral Ruins! !